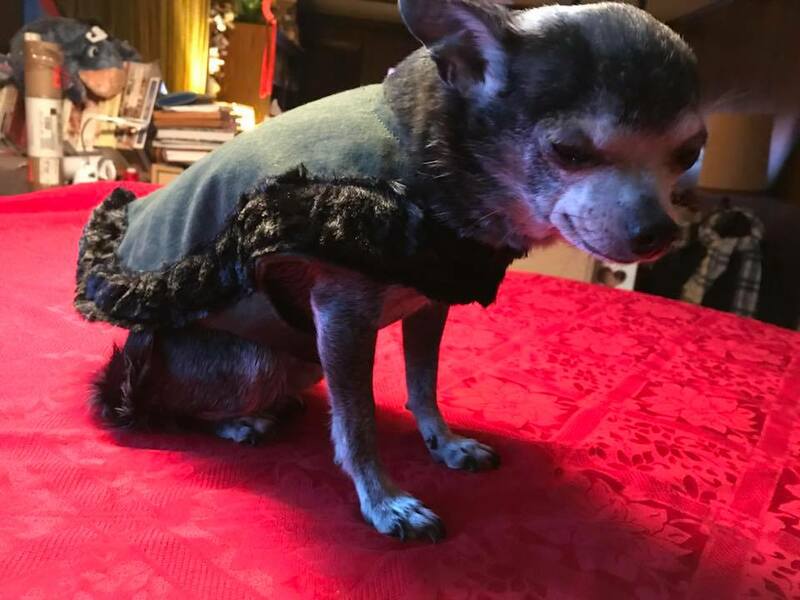 Grimmy loves his new coat from Baroness Helene. Photo by Baroness Ekaterina. 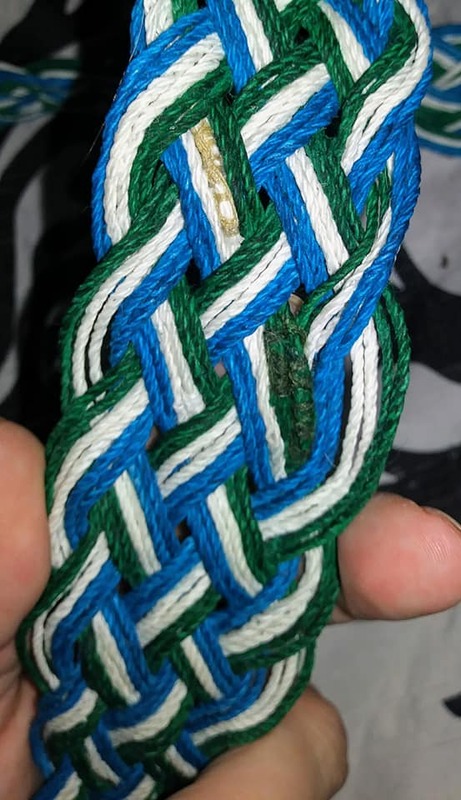 Come on, you know you want to join the Æthelmearc Artisan Exchange! You, creating that awesome, intriguing, engrossing, fun, beautiful art form. Sign up to make it – whether an art form you’ve been developing for years or something you just started delving into, whether woodworking, sewing, brewing, metal smithing, leather working, cooking, etc. – for someone else. Then reap the joy of that person receiving it, while you receive a personalized gift in return from another talented artisan in our kingdom. What is the Artisan Exchange? Unlike A&S competition, displays, classes, or other common artisan-oriented activities that are often competitive and scary to new artisans, the Exchange encourages artisans of all levels and abilities simply to practice an existing skill or explore a new one while creating something within roughly three months’ timeframe (and with a $25 limit on materials, not including shipping costs) for a fellow artisan in the exchange, at the end of which they will receive a gift in turn from another artisan. As in modern Secret Santa exchanges, only the Exchange coordinator knows which artisans she has matched up until the gifts are mailed and the effusive thanks begin. Artisans of all ages, skill levels, genders, etc. participate and the created items do not all have to be documented period items. Originally created as a Noblesse Largesse swap in Calontir by Lady Konstantia Kaloethina and HL Aline Swynbrook, those founders encouraged gentles in other kingdoms to use and expand the idea. Baroness Oddkatla Jonsdottir learned about the East Kingdom’s Swap (and then Exchange) while a resident of that kingdom and enjoyed participating in 10 exchanges over four years there: knitting shawls, painting and embroidering messenger bags and a Norman cloak, and sewing a silk banner and a Skoldhammim hood. When she and her husband, Baron Friderich Swartzwalder, became citizens of Greater AEthelmearc a few years ago and began playing in the Nithgaard/Abhainn Ciach Ghlais area, she wanted to join our kingdom’s Exchange, which had been coordinated in 2013 by Janice Mullins Wagoner. “I saw the amazing art being made in the East’s group, and knew that AE had or has many very talented artisans,” Her Excellency explained. 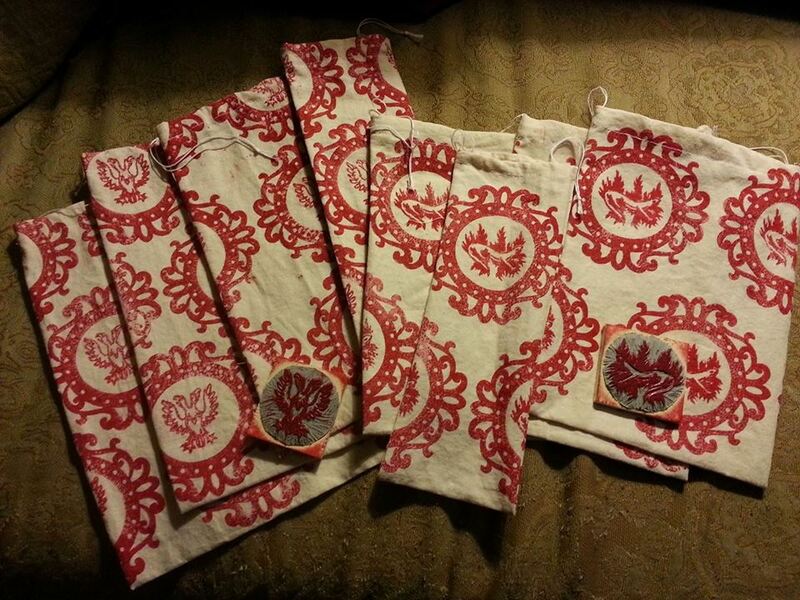 Block-printed feast gear bags from Mistress Fredeberg to Baroness Helene. Photo by Baroness Helene. When Janice stepped down and offered the Exchange to Baroness Oddkatla, she talked to the Calontir founders for guidance with the process and forms and began coordinating the project in Fall 2015, which finished by Kingdom Twelfth Night in January 2016. At the beginning of each Exchange, Her Excellency asks participants to join the project’s Facebook group and fill out a survey detailing the participant’s home group, persona, color preferences, favorite activities, and art interests. After receiving all the surveys, Baroness Oddkatla randomly matches each artisan with another and privately sends each artisan the survey information for their matched artisan. She checks in frequently with the artisans via the Facebook group (and private emails, if necessary) on the progress and nudges everyone into mailing or personally handing every gift by the Exchange deadline. The Exchange is primarily coordinated on the Facebook group, but Her Excellency notes that artisans do not need to be a Facebook member to join the Exchange; they can participate via email. What outcome did you hope for the Exchange – just a fun Secret Santa gift swap or something more? How has the exchange changed/evolved since you began this? So far, 50 participants have joined the one that is in the survey stage right now. Baroness Oddkatla is hoping for 70 participants. Woven belt/trim by Lady Zianna for Lady Catherine O’Herlihy. Photo by Lady Catherine. What has gone well and was has been a challenge? What have been some of the themes of past exchanges and what is the current one? “Themes in the exchange have been varied. The first one was a Twelfth Night theme, with the gifts being something fancy that could be worn or used at Twelfth night. Themes since then have been “Spring/Camping” where each artisan was asked in the survey if they would like to receive a spring- or a camping-themed gift. The theme of the exchange that we just completed was “Heraldry,” and each artisan was asked to make a gift using their recipient’s arms or colors, or if the artisan did not have heraldry, the recipient’s household or Kingdom arms were used. What are some of the most notable gifts you’ve seen made? “Every gift that is made is very special! I have a few favorites, from all the different exchanges. Some memorable ones are the amazing painted box Abigail Kelhoge made for Anna Leigh, inspired by an illumination; a blackwork embroidered coif Rhys Penbras ap Dafydd made for Elisabeth Johanna von der Flossenburg; and the angel gift Rynea von Lingen made for Astridr Vigodottir, known as Ashling. 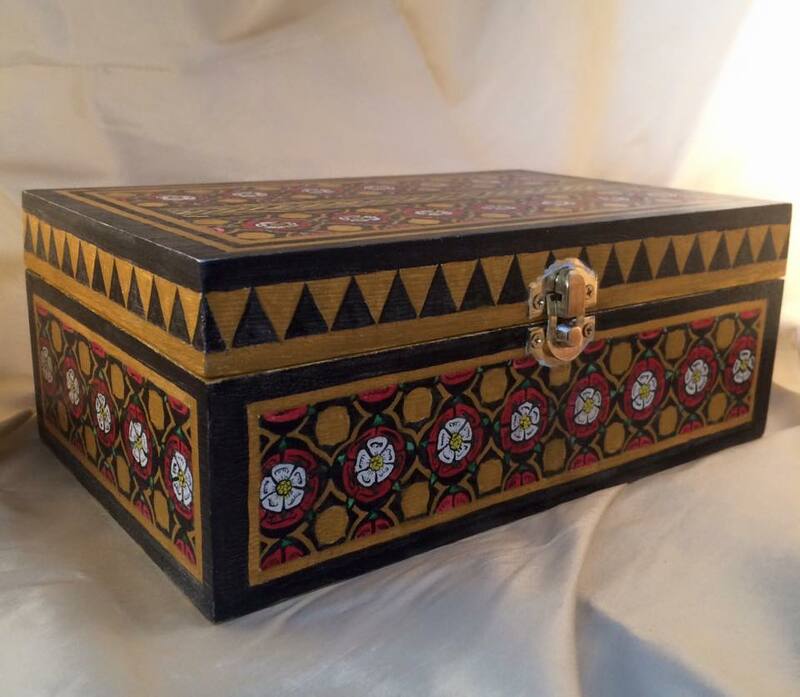 Painted box by Lady Abigail Kelhoge for Countess Anna Leigh. Photo by Countess Anna. “There are many, many gifts I love, way too many to list here! “You’re probably wondering what an Angel gift is? An Angel gift gets made when an artisan cannot complete their gift. 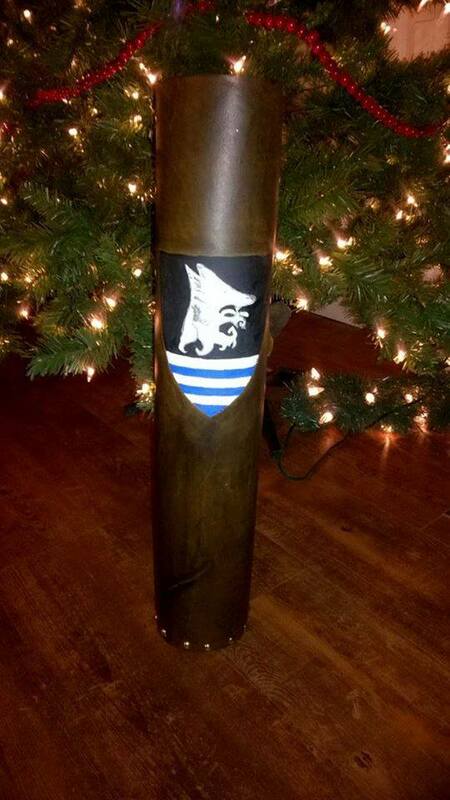 I put out a call for someone to make a gift, and then when I get an angel, I send them the information they need and they make a gift for the artisan that did not get a gift due to their artisan not being able to finish their gift. How much time each week during the exchange do you spend coordinating this and what is involved on your end? Is anyone else involved in the coordination? “There is a fair amount of work that I do to get the exchange up and running. Starting with writing and developing a survey all the artisans must take to be included in the exchange. After the surveys have been taken and it has been closed, when I have the number of artisans that I need to run the exchange, the real work begins. I take each artisan and give them a number, and then using a blind draw, I assign artisan to artisan. Then I send each artisan an email with their recipient in the email. I ask each artisan to send me an email back so that I know they have received their artisan’s name and survey information. “At this point, the progress of the exchange is up to the artisans. My part slows down a bit as I just make sure I am a cheerleader to keep people motivated and working. I let everyone know that I am here to answer their questions. One of the rules is that no one contact their recipient. If they need help for something they would like to know, they need to contact me either by email or private message on Facebook. What are your future plans or hopes for this exchange? Quiver by Lord Wladislaw Poznanski. When is the deadline for the current one? What do you say to artisans who are intrigued but unsure about participating? Join the Æthelmearc Artisan Exchange group on Facebook. The GoogleDoc survey is here. The rules for the exchange are here and the history/explanation of the rules of the Exchange is here. Commonly asked questions are here. This is a great idea–enjoy!